You can create wonders using cereal, from a fuss-free hearty breakfast to baking & even whipping up a meal. Since my Japanese guest is a seafood lover, I decided to introduce him to one of Singapore’s most popular dish – Cereal Prawns, using Quaker Oats. De-vein & slit open fully, the back of the prawns. Whisk egg & mix with prawns. Add flour & stir well. 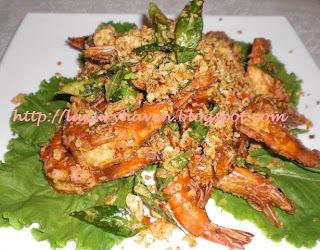 Heat oil & deep-fry prawns. Drain & set aside. Melt butter. 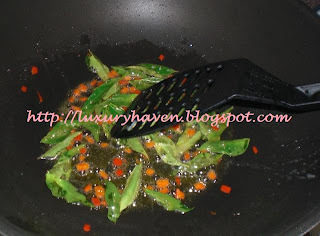 Add in curry leaves, garlic & chili padi. Cook on small fire till fragrant. 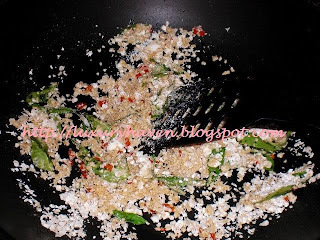 Mix milk powder with cereal & add into wok. Stir well & throw in prawns. Stir-fry briefy & you’ll get a delicious plate of Cereal Prawns. That's a lovely prawn dish. 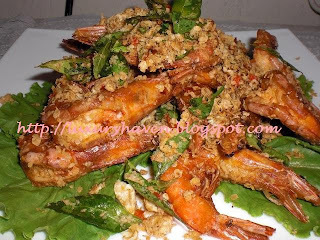 I have never cooked prawns with oat but it sure sounds such a great idea. I have to try that. We like to grind oatmeal down to a powder too. It makes a nice coating. 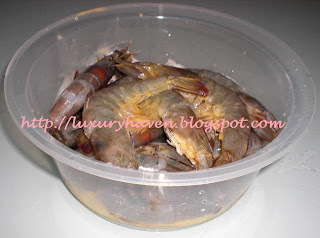 Wonderful prawn dish. Looks so good, I would never of though to pair quaker oats and prawns, great idea! That cereal prawn looks fantastic! 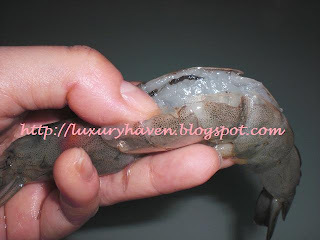 Definitely going to try whipping it up when I get some prawns next week! Heh. 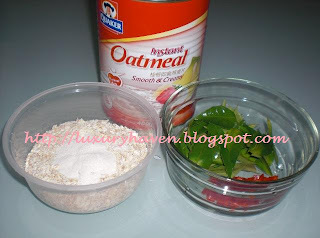 Wondering if you have to use rolled oats or either instant quaker oats. 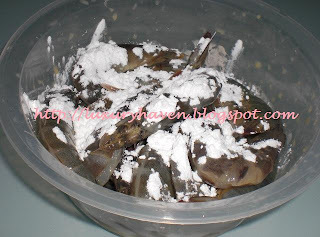 Ian, try this dish if u haven't. It's yummy! Duo Dishes & Southern G.Gourmet, thks again for the compliments! BTW, its my Uncle Kia Yoke who introduced me to your blog. Haha.